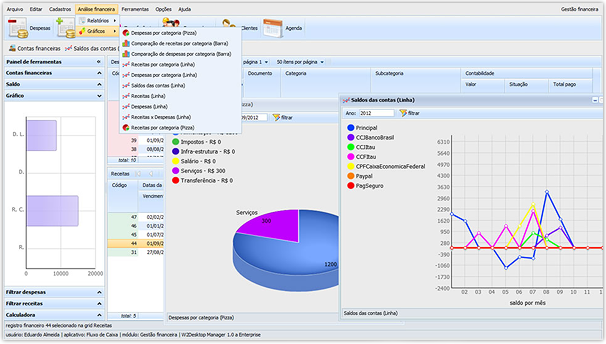 The Cash Flow application was created as a module of a Real State’s ERP. 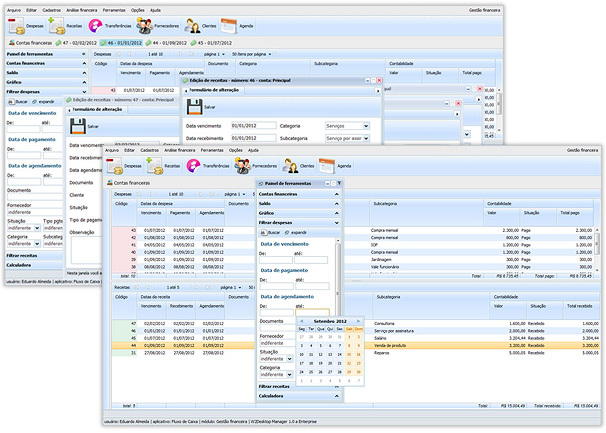 It provides accounts management, customers and suppliers management, Expenses and Incomes flow management. It also offers some financial analysis visualized in line, bar, and pie charts. Users can generate and send “billet banking” for their customers using any Brazilian bank. You can check the live demo to see how the DHTMLX components are nicely integrated in a complex application interface. “We needed to create some generic features to use in that prototypes. I was using DHTMLX Standard Edition so I had to implement some features like validation and masks at grid cells and form fields, etc. The Cash Flow application was the first project done using this set of tools and code. Now this application is a module of another application, sometimes using other web libraries. I also created a datastore system to share data between this module and the rest of principal application. To provide the server-side logic, I developed a Perl Module, which is available on GitHub. DHTMLX is perfect for complex projects with small learning curve. It doesn’t force you to use always the same pattern of code, giving the freedom to create your application in any model of process. You can easily create simple applications and scale it with no problems. P.S. If you are ready to share your experience with the DTHMLX library, feel free to contact us.